Eric Narvaez, an Army veteran and wounded warrior, said he fought for his country – only to come home to a different kind of war in the United States. After thanking Narvaez for his service, Obama said his plan for immigration reform would allow Narvaez’s mother – and millions more like her – to stay in the United States. The exchange was part of a town hall meeting on immigration held Wednesday at Modesto A. Maidique Campus. 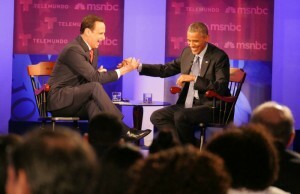 The event was organized by Telemundo and MSNBC and hosted by anchor Jose Diaz-Balart. 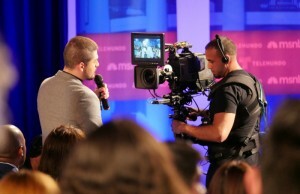 It airs tonight at 7 p.m. on Telemundo, Channel 51, and at 8 p.m. on MSNBC. FIU President Mark B. Rosenberg opened the event saying Miami – and FIU – were the most appropriate places to host a discussion on immigration. FIU, with more than 54,000 students, is the largest Hispanic-serving university in the nation and the largest producer of Hispanic graduates in the country. White House Press Secretary Josh Earnest told MSNBC earlier in the week that the decision to hold the meeting in Miami was strategic. “It makes for an interesting, dynamic place and a great symbol of how immigration has made our country unique,” he said. 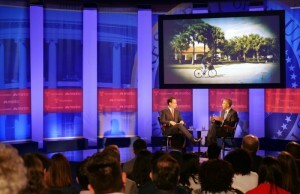 A televised event would also allow the president to connect with Hispanics throughout the country, Earnest added. 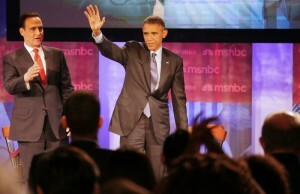 During the event, Obama stressed that the immigration system in the United States is broken – and needs a bipartisan fix. “We need a comprehensive bill that would strengthen our borders … and provide a pathway for people to earn legal status in this country,’’ he said. “Not only is the law on our side, but history is on our side. “We are a nation of immigrants and we are not going to deport 11 million people,’’ he added. Obama scheduled the town hall meeting just days after a decision by a Texas judge to block his executive order on immigration. Obama’s plan would have extended temporary work status and shielded from deportation nearly 5 million undocumented immigrants. 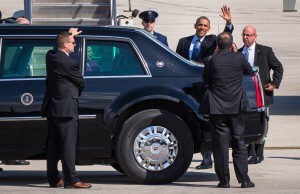 The plan was met with stiff opposition from Republicans, who felt the president overstepped his authority. In addition, an NBC/Wall Street Journal poll in November 2014 found that nearly half of Americans – 48 percent – also opposed the president’s plan. 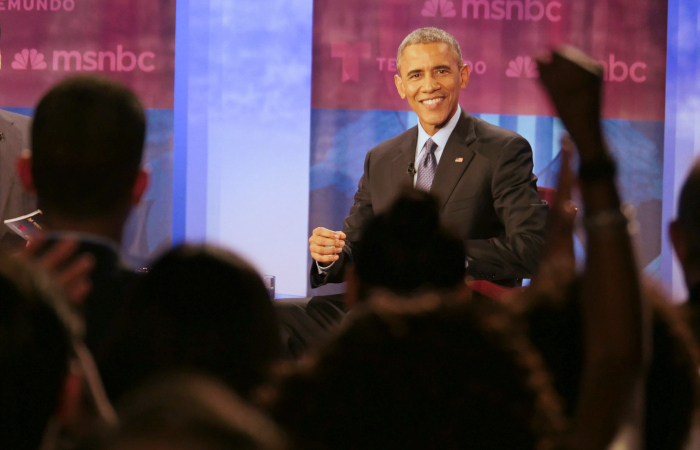 Obama acknowledged the opposition – but said he was certain that meaningful immigration reform would happen before his term ends. More than 60 FIU students were selected to attend the town hall, including members of the Student Government Association, Model U.N. team, College Democrats and the Immigration and Human Rights Clinic of the College of Law. In addition, several FIU alumni, Board of Trustees members and student immigrants were included in the guest list. A standing-room only crowd of more than 200 students, faculty and staff crammed into the Graham Center to view a live stream of the event. 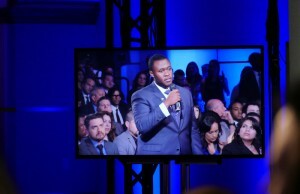 Boris Gilles, an FIU student who came to the U.S. from Haiti in 2011 on a student visa, asked the president what he can do to help international students who wish to remain in the United States. Hours before the event, FIU senior Kevin Love waited in the Graham Center with a dozen other students who were on a waiting list for tickets. Less than an hour before the meeting, Love learned he had a seat inside. He said he’d thought long and hard about what he’d ask the president if he had the chance. 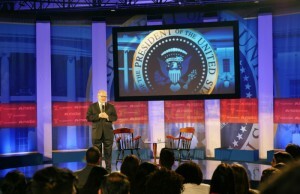 After the town hall ended and Obama had left campus, Rosenberg addressed the team of FIU staff who had worked for days with the White House to plan the event. 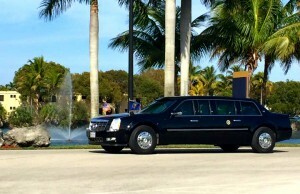 He praised the team for working tirelessly to make the event – the first visit to FIU by a sitting U.S. president – a success. I’m proud to be an FIU Alumni! Why didn’t he explain the impact this is having on people’s (DHS employees) whose pay will stop on 2/27 because of this? Why haven’t the people who are “mothers” who have lived here for SOOOO long not go through the process for citizenship by now? There is already a “pathway” for people to earn legal status. If you legalize all the illegals, you are slapping everyone in the face who has come to this country and went through the process the right way. Also, we are no longer a “country of immigrants”. If you believe that the US is still a “country of immigrants”, then everyone who lives in every other country in the world is an immigrant to their own countries as well, because their ancestors didn’t originate there. Also, most military do not agree with passing this law. It is horrible the spin on this story, and is sickening to try and present the military perspective on this in this manner. Lastly, why not ask our Customs and Boarder Patrol Officers what they think. They will understand the results of passing this better than any student. I have asked them, and everyone one of them are against legalizing illegal immigrants. This story is definitely rings of the sophomoric spin cycle; just the kinder alignment with Spain through the Hispanic identification rather then the more common Latino, third-world moniker of what the U.S. really faces could be considered a milder way of framing the issue. Personally, I just want to protect my American way of life, a life my parents, grandparents, and I forged for the third-world to later jump-on and revel in. Actually, and here’s some irony, I’m watching the TV news while another Latina is being interviewed in Spanish rather than English. My command of the English language is questionable at best; I negotiate in the American idiom lot better, but I am understandable in most of the U.S. Although, I’m not understood in much of Miami Dade-County way too much of the time because, frankly, it is a third-world microcosm. I don’t want the U.S. buried under an avalanche of third-world austerity. That would be a plain shame, and an insult to the mainstream, American, rank & file. Your grossly inaccurate statements make me hope that you are a garden variety troll, and not a graduate of FIU. If you are an FIU student or alumni, I am embarrassed by the depth of your ignorance. It is indeed unfortunate for our country that oft-repeated partisan noise is often utilized to overwhelm logical thought. That is a sad fact of life in 2015. Instead of gathering together in efforts to solve our common problems, a growing majority choose slander, “truthiness” and sometimes outright lies to champion dubious goals. To minimize my words here, I must ask those who may share the snarky attitude of that writer what – exactly – they propose to do with 11 million people who currently reside in the USA without proper documentation? If, as suggested, they *all* should be deported, then how should that be accomplished? One by one will take decades, so should the military round “them” all up into camps as America did to the Japanese during WWII? Do you actually believe that the taxpayer burden for the Billions of dollars necessary to achieve imprisonment of undocumented aliens and the cost of their deportation is a good deal for the USA? What about the lost tax revenue from those people? What about their contribution to the labor pool of this country? What about the fact that most of them really want to be good American citizens? So lets hear it, Noisemakers. What is your end game? We sure know your rhetoric. Let’s see some action. Action in the form of Comprehensive Immigration Reform legislation. Yeah, I didn’t think so. Noise makers have no solutions. Just noise. Are you sure that was Obama or a lookalike.